The 2010 Formula One season is the 61st Formula One season. The technical and sporting regulations applicable for this season have been the subject of much debate. The reigning Driver’s Champion, Jenson Button, has joined McLaren, and the reigning Constructor’s Champions, Brawn GP, have been bought by Mercedes-Benz and renamed Mercedes GP. The season has seen the return of the most successful driver in the sport with Michael Schumacher coming out of retirement after a three-year absence. The season’s first race was held on March 14 in Bahrain. We also made a Dedicated Server version of the mod, then you don’t have 1GB to upload on your server. It doesn’t contain any models/textures/sounds and it works exactly like if it was the FULL version. 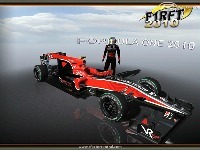 The WCP crew is proud to wish you a good experience of racing with F1 2010 by WCP series ! Thanks to each of you who took the time to wait for this mod and who always trusted in us. 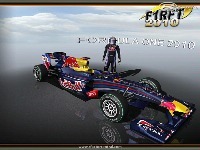 Good Moding,but Problem with race i tried play with 24,22 ai's blocks loading! Help me I don't know what im do. what is the 700 meg download? Downloaded the file here 240 meg but will not run and does not show in list of mods? Yeah, overall this is a reasonably decent mod but the sounds are terrible and the handling model is not very accurate. What's the problem with these sounds??? WCP team you must do something about this!! the mod is actually (imo) good, despite some comments on too much grip and so, but overall is a good mod. even historically people notice you've done hard work... but plz do something about the sound! It's the biggest reason i can think of to not play this. I can confirm the minimalist installation. Only a vehicles folder was installed, nothing else. Not even vehicle physics was installed, just all the team bitmaps and some .mas files. Considering all the negative comments so far and my own experience with it, this mod - as it were - is a let-down. Looking forward to version 2.0.